Berkeley 72-inch W 4-Drawer 2-Door Vanity in Brown With Marble Top in Beige Tan, Double Basins For a bit of traditional style in your bathroom, choose this beautiful vanity. Made with a special brown solid wood base and a beige tan marble counter, this piece will make your bathroom look even nicer. The double-door cabinet and drawers are great for putting away bathroom items. Put a nice twist on your bathroom project with this classic piece from Wyndham Collection. 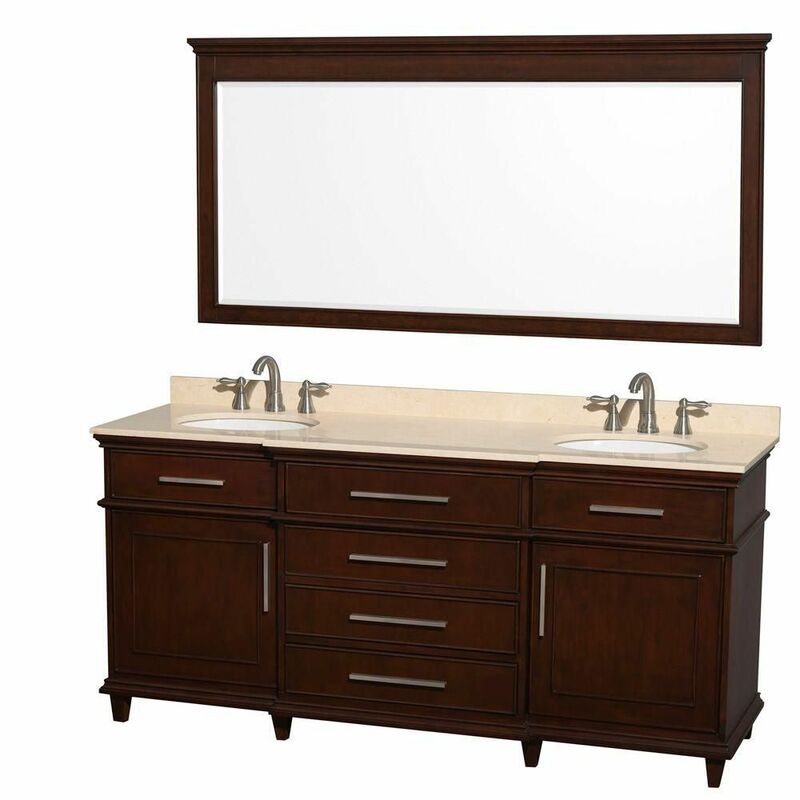 Berkeley 72-inch W 4-Drawer 2-Door Vanity in Brown With Marble Top in Beige Tan, Double Basins is rated 4.0 out of 5 by 1. Rated 4 out of 5 by Jlssmith2 from Beautiful Vanity, Mirror, and Vanity top: however, when I opened this product was opened today th... Beautiful Vanity, Mirror, and Vanity top: however, when I opened this product was opened today there was a hole on the side. Request that it be returned or discounted.